Dr. Abhinandan Bharne graduated the medical school of University of South Florida College of Medicine and completed his residency program at the UCLA Medical Center. A fellowship followed at the Cedar-Sinai Medical Center soon after that. He is specialized in pulmonology and board certified in critical care medicine and pulmonary disease. 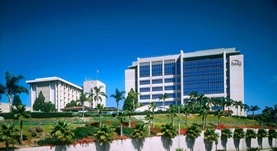 Dr. Bharne has been in practice for more 11 years and is affiliated with the Hoag Memorial Hospital Presbyterian.